Our Fearless Network of Churches is launching a drive to collect school supplies and clothing for students in grade school. 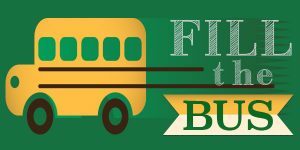 “Fill the Bus” is designed to help fill a need for students who start school without the necessary clothing & supplies. The collection drive will kick off Saturday July 28 and continue through August 12. Purchase any of the items below or download the school supplies list here. Menards & Meijer are just two great places to pick up supplies. Goal: Supplies and Backpacks for 400 plus students. There will be collection sites located near the main entrance, the “admin lobby, and by the exit door in the commons.